Question: Throw your vote into the pool! Who's room would you like complete next? Welcome to my hotel of FCs! Rated 4.5 stars by Priscilla, we're one of the highest quality hotels. You may ask my FCs questions, give feedback or suggestions. The order of FCs, or rooms, are completely random; they're not in any specific order. Enjoy your stay! P.S - the stairs are broken, so you'll have to take the elevator. 1. No raiding the minibars. 2. No attempting to rig the vending machine. 4. No hiding in people's rooms. 5. No asking for free cookies. You will BE asked. 6. No loitering, or hogging the toilets. 10. No disobeying these rules. Break any rule and you will be kicked out. No warnings or second chances. You may return within 4 days. Oh, and Rule 8 is the most important. 12/2/18 - Started, Kandi and Lawrence's rooms under construction. 12/28/18 - Thread revived, Carla, Alex and RJ's rooms under construction. 12/29/18 - Lawrence and Carla's rooms completed. Luana's under construction. 12/30/18 - Kandi's room completed. 1/1/19 - RJ's room completed. 2/1/19 - Rokko under construction. 3/1/19 - Evilyn under construction. 4/1/19 - Avery under construction. 8/1/19 - Everyone's Style A added. Pool added. 10/1/19 - Reuben cleaned up. 11/1/19 - Rokko and Evilyn completed. Myrtle and Reuben under construction. 20/1/19 - Avery and Myrtle completed. Luno and Maeve started. Chive, Holly, and Elise's flipdecks added. Added tournament stats. 5/2/19 - Reuben completed. Alicia, Cassindra and Mark started. Reese and Joseph's flipdecks added. Added Lawrence and Carla's Halloween costumes and changed Carla's Style B. New pool. 4/3/19 - Kandi's flipdeck bio cleaned up and her orders added. Added Kandi's new Style H and Reuben's new Style B. 15/3/19 - Added Edith. Completed Brianna, Naomi, Luno, Alicia and Cassindra. Added in new styles for 5 FCs. 15/4/19 - Added Travis and Caya. Completed Maeve and Mark and started Misty and Elise. Added flipdecks for Phoebe, Edith and McKinley. Added in Myrtle's and Evilyn's Style H's. Added everyone's hometowns. Kandi: Hi! I'm Kandi!!! I made my room super colorful and pretty! Do you like it? 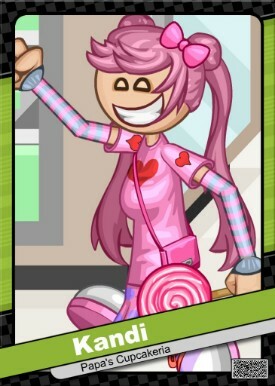 Flipdeck Info: Kandi is the lolly-loving girl from Whiskview. With her love for confectionary dating far back, her wealthy parents got her to star in a commercial for Cotton Puffs when she was six years old, and thus became face of the brand for a long time. 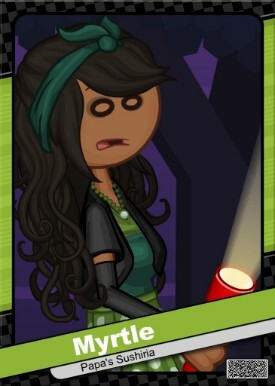 Although she used to be always seen with some kind of sugary treat, Kandi’s tried to cut back on her sugar, limiting herself to 5 chocolate bars and 3 bags of gummy worms a day, which she considers a fair amount. She is often a regular visitor to Morguel’s Candy Store, a confectionery in Whiskview. Kandi is rather short for her age, which is why people think she's younger than she actually is. Kandi was one of IrritatedSalt's first FCs. She appears in Salt's 2018 Halloween photo. Luana: A guest! Well, welcome to my room! Make yourself at home. 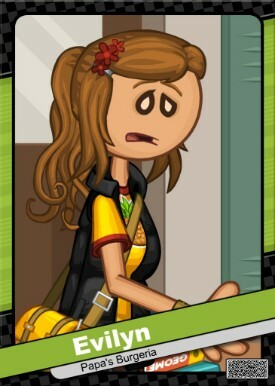 Flipdeck Info: Luana is a laid back girl who lives in an apartment in Whiskview. Seemingly having lots of free time and living on a tight budget of money, Luana often enjoys a stroll at the local park or eating a pie from Papa’s Bakeria. Her close friends and family are worried about how she has been spending her money, and think she isn’t focusing on the more important things in life. Still, she’s happy with her current lifestyle. Luana is one of IrritatedSalt's oldest FCs. Lawrence: Oh, hey! Welcome to my hotel room! 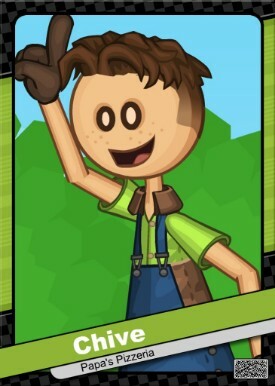 Flipdeck Info: Lawrence is a High School Student from New Pepperton. 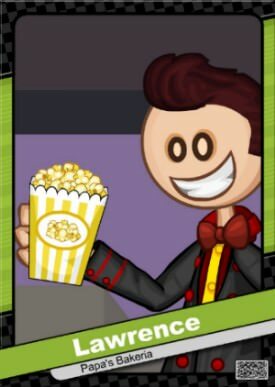 During the summer, he works at the Sugarplex Theater, serving popcorn or soda, or scanning people's tickets. While it annoys him when it takes up time with his friends, he knows it's good to earn some money. When he's not working, he likes to spend time with his girlfriend, Carla. Lawrence was created in November 2017. 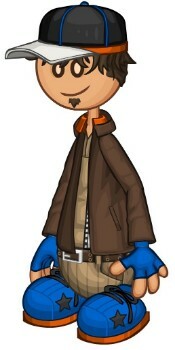 His original design was created in KCP13, and used many of the same features in his current design. Lawrence participated in KCP18, finishing with 4 stars. 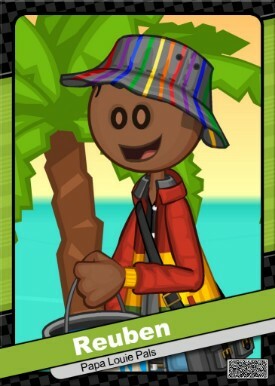 Flipdeck Info: Luno is a high school student from New Pepperton. 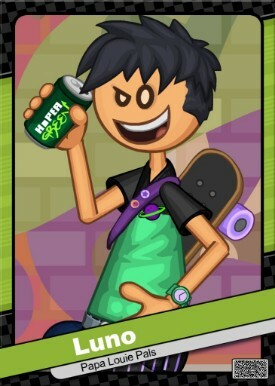 Luno enjoys skateboarding, and is very popular among his peers. However, many of Luno's closest friends will tell you he has a very unique personality. Luno also has a liking of space, usually wearing a planet t-shirt. But the most strangest thing about Luno is that people close to him say he dissapears at nighttime, but returns in the morning. However, the story isn't believed by many. Luno is the only FC of mine to have an alter ego. Rokko: Congrats.. you're the 51st fan to break into my room this week. 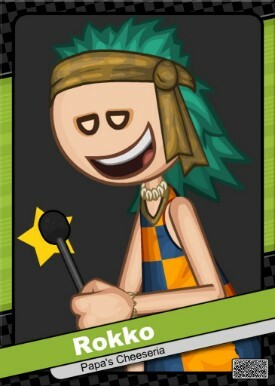 Flipdeck Info: Rokko is the former drummer/guitarist of the popular rock band Doom Brulee. However, after their famous world tour ended, Rokko decided to leave the group and work as a solo artist. Currently, his debut solo album is not far from release. In addition, he is also the host of the brand new show Rokko's New Grooves. A competition show where new music talents come to compete and potentionally earn a record deal. Rokko was originally going to be a hippie. Judy appeared in the first season of Rokko's New Grooves. Naomi: Wanna play some baseball? 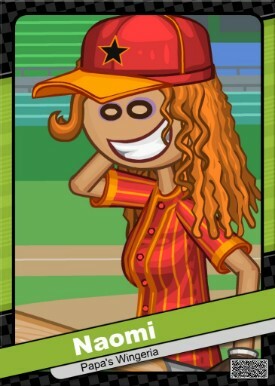 Flipdeck Bio: Naomi is a Baseball Player for the Starlight City Buffaloes. Loving Baseball from a young age, she was able to shine in the sport when she was accepted into the city's local team. Personality wise, she's quite cunning and snarky, which makes her a target for the other teams. However, Naomi is a valueable player and has been very helpful when the games get tough. Reuben: Oh, hi! Don't mind all the bright colors in here. 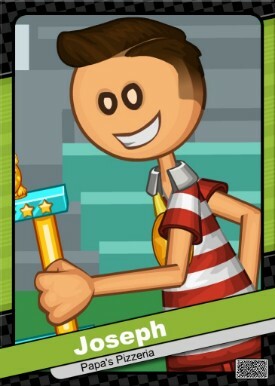 Flipdeck Bio: Reuben is a painter and high school student from New Pepperton. Being a lover of color, it's no suprise that the clothes Reuben wear are full of bright colors. To earn some money, Reuben opened up Reuben's Juices, and put lots of effort into painting the stand and making it colorful. Other times, he enjoys painting for others and helping them out with anything to do with color. Reuben got a clean-up in January 2019. He appears in Salt's 2018 Halloween Photo. 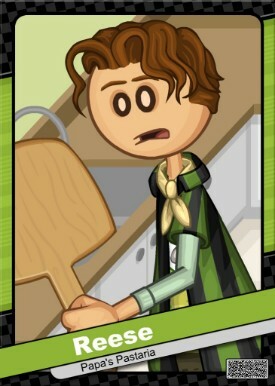 Flipdeck Info: Elise is a bright student who boards at Cinnamoni Girl's High School. Although her high school days started off a bit rough since she was now at a different school than her best friend, Celphy, she focused hard on her schoolwork and was soon at the top of all her classes. She has represented the school for many academic events, and has even won the Selcumber Award For Best Academic Skills three years in a row at her school's prizegiving. 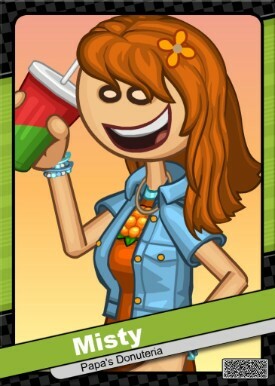 Flipdeck Info: Alicia is a girl originally from New Pepperton. 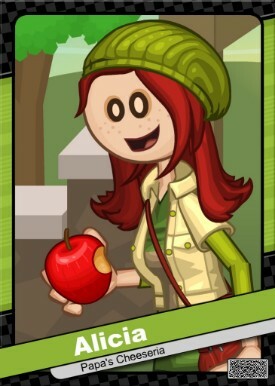 After leaving High School earlier than expected, Alicia headed off to Toastwood and took up the job as a picker of her favourite childhoof fruit, apples, in the Porterhouse Ranch. She does enjoy the job, especially when she's allowed to take home a basket of apples afterwards. She also earns herself a good amount of money to keep on coming back to the cheesy sandwiches of Papa's Cheeseria. During the summer, she returns home to New Pepperton to visit family and friends. Alicia's name was originally Rose. RJ: Hey! I'm RJ! How are you? 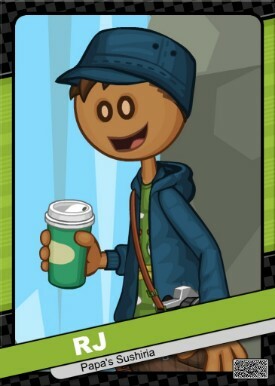 Flipdeck Bio: RJ is a Portallini Barista. It's always nice to smell the fresh scent of coffee and tea served at the Chicory Cafe where RJ works, serving beverages and food to customers. During other times, he likes to take photos of the magnificent sights of his hometown and the Chicory Cafe to help advertise it. RJ also likes to help himself after work to some fresh espresso and biscuits. 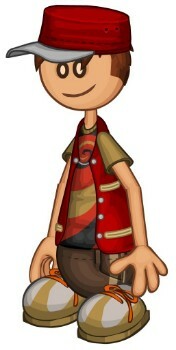 RJ's base design was originally as an extra for a PLPs scene, but he was later improved to be an official FC. He appears in Salt's 2018 Thanksgiving photo. Myrtle: Oh, hello. Isn't it kinda rude to just barge in here? 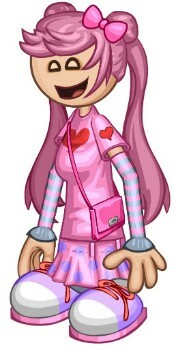 Flipdeck Bio: Myrtle is an outgoing girl from Sakura Bay. Often curious and risk-taking, her favourite thing to do is to skip school, and go down to the woods with her friends. It doesn't always go well though, such as when she and her friends had to be rescued by the fire brigade. 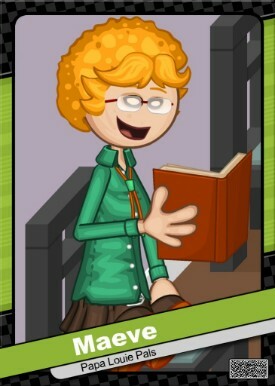 Myrtle is also an avid writer, and has written a story based on her and her friends adventures in the woods. She has been trying to get the book published, but not many people take her seriously. Myrtle may be entered into KCP19. She appears in Salt's 2018 Thanksgiving photo. Alex: Whatever you do, DON'T touch anything. 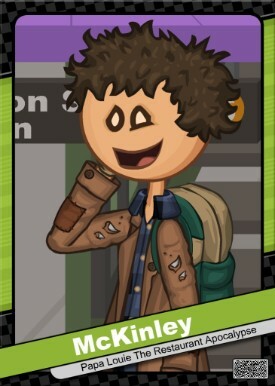 Flipdeck Info: Alex is a picky Fashion Model and Social Media star from Whiskview. 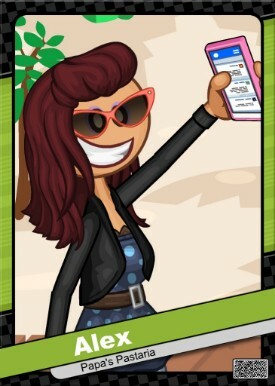 She's always keeping up to date with the latest fashion trends and has over 300k followers on Social Media. With many admirers such as Trishna and even Kayla, Alex is certainly a public celebrity. 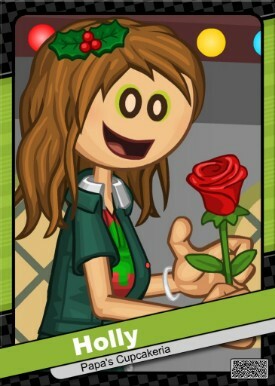 Flipdeck Info: Misty is a girl from Powder Point who can seemingly be seen in different towns every so often. She's eager and fun-loving, but can be considered a bit of a busybody as she knows a lot of people. Misty is quite dramatic, often being able to inform anyone about the latest gossip going around town. She briefly worked at the Pop-Dart stand at Powder Point's amusement park but quickly grew bored. Instead, she's known at the amusement park to hold the record for the first person ever to ride the Sky Ninja over 100 times. Carla: Hey! Who are you! Oh well, as long as you don't be annoying you can stay. 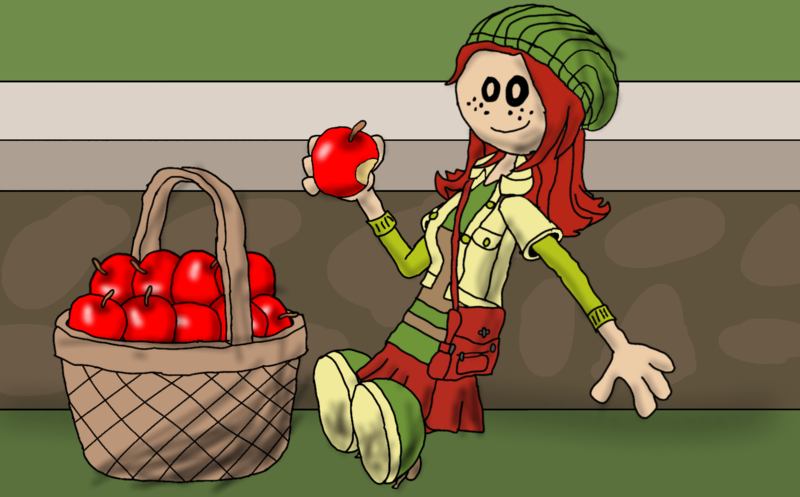 Flipdeck Info: Carla is a student at New Pepperton High School, where she is most known for her studies in Natural History. Carla likes bringing her friends out to the gardens near the school, showing them the unique creatures and plantlife that live there. Being ambitious and putting all her effort into her work, Carla was slightly jealous when Ripley was given an opportunity to study the lands of Munchmore and she didn't. But she has continued studying and hopes her academic skills will let her someday visit Munchmore. 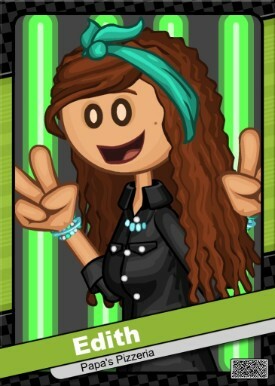 Carla was created in November 2017. Her original design contained Ruby Red. Carla participated in KCP18, finishing with 4 stars. Mark: I didn't ask for you to come in here. 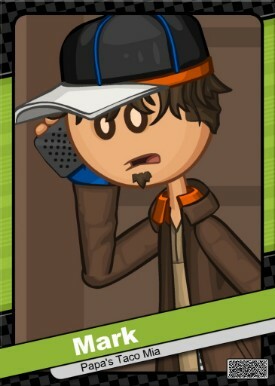 Flipdeck Info: Mark is a director from Tacodale. He's generally good tempered, even when things get stressful on set. Mark is mainly a television show director, and you'll probably best remember Mark as the director of Ballroom Bash, Lovebright Hospital, and Rokko's New Grooves. He's also directed a few films. When he's not working in the studio, he's enjoying his rare free time. Brianna: Hi! Want to come check out my wardrobe? 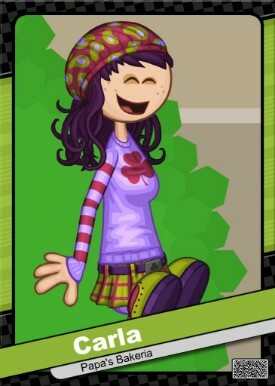 Flipdeck Bio: Brianna is a frivelous girl from Starlight City. Originally living a more simpler life in Powder Point, she won a trip to Starlight City and ended up becoming a permanent resident there. She was then soon thrust into the city's jewels and riches, often playing at casinos in the hopes of winning big. 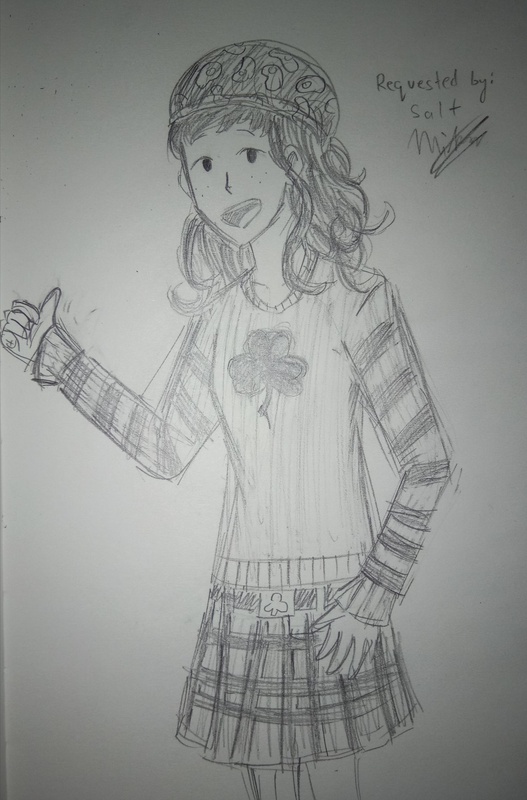 Although Brianna doesn't always have the best of luck, she has managed to get herself some flash new clothes and accessories, which she often sports around town. 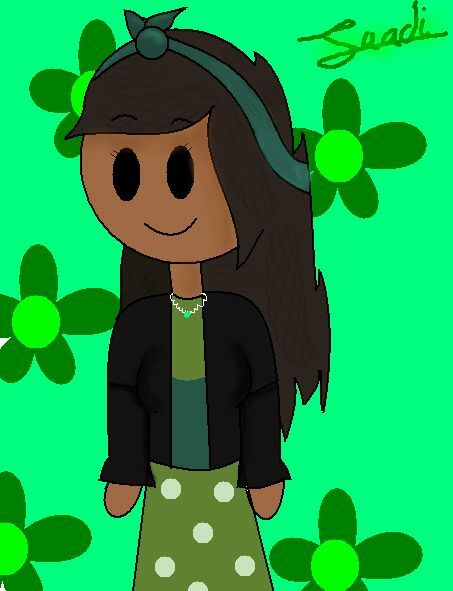 Brianna's design has gone through several changes. Evilyn: Hi! Hope you're having a great day. 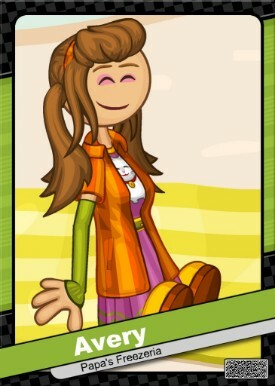 Flipdeck Bio: Evilyn is the kind, popular high school girl from Burgerburgh who sees good in everybody. 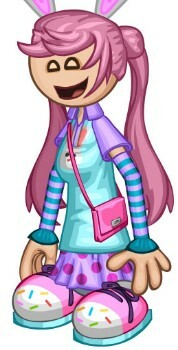 Everyone in the school wants to be her friend, as she's usually seen with a large group of friends following her. But she mainly considers Terry, her best friend, and Bella as her closest friends. She has trouble hanging out with both at the same time, as Terry seems to hate Bella. Evilyn still likes Terry, but just wishes she would like Bella. Avery: Why hello! Good to see you. 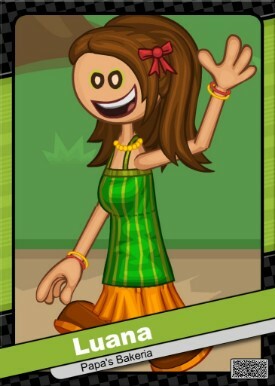 Flipdeck Info: Avery is a girl who grew up in the sunny beaches of Calypso Island. Two cultures come from her background. Avery's father is from Calypso while her mother is from Sakura Bay. 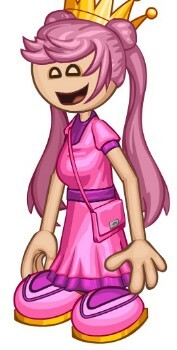 Although she's lived in Calypso her whole life, she takes a bigger interest in Sakura Bay's trends and culture. She even has a complete outfit planned for her to wear when she moves to Sakura Bay. In the meantime, she enjoys Reef Diving, and collecting rare items along the shorelines of Calypso Island. When she's in Sakura Bay, she always wears her Style B.
Avery is currently competing in Amber Inferno's Flaming FC Tournament. Cassindra: Wait, who are you?!?!? 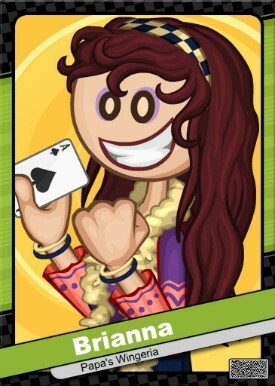 Flipdeck Info: Cassindra is a middle school student from New Pepperton. The sister of Carla, Cassindra often loathes studying and rather spends time out in town, much to the dismay of her parents and academic sister. In the weekends, Cassindra enjoys video games, hanging out with her friends at the local park, or expanding her clothing collection, which she recently has started getting back into. 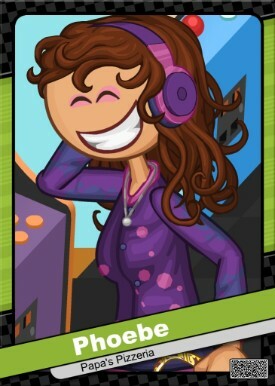 Flipdeck Info: Maeve is a former book publisher who's lived in Whiskview all her life. Although she retired from publishing two years ago, she still enjoys reading books, Every year, Maeve goes to Calypso Island for a vacation with her husband, Duncan. Maeve isn't expected to appear in any of Papa's Restaurants, at least for now. Maeve and McKinley are the only FCs of mine who have never appeared in Papa's restaurants. Welcome to the art gallery. Here, you will find some arts of the residents at this hotel! Thank you to those who made them. That's all. Now you guys may ask my FCs questions, give comments or suggestions.